Sydney Swans vs. Melbourne Demons — Fox Soccer Plus, 5 a.m.
Weigh-In — ESPN2, 4 p.m.
South Carolina at Florida — ESPNU, 7:30 p.m.
USC at Utah — Pac-12 Network/Pac-12 Los Angeles/Pac-12 Mountain, 8 p.m.
Long Beach State at USC — Pac12 Network/Pac-12 Los Angeles, 4 p.m.
Pepperdine at USC — Pac-12 Network/Pac-12 Los Angeles, 6 p.m.
Providence vs. Minnesota-Duluth — ESPN2, 5 p.m.
Denver vs. UMass — ESPN2, 8:30 p.m.
Maryland at Northwestern — Big Ten Network, 8 p.m. Sporting Kansas City vs. CF Monterrey — Univision Deportes/Yahoo!, 9 p.m. Practice 1 — ESPNews, 9:55 p.m.
Honorary Starters — Masters.com/Masters app, 8:15 a.m. Featured Groups — Masters.com/Masters app, 10 a.m.
Amen Corner — Masters.com/Masters app, 10:45 a.m.
Holes 15 and 16 — Masters.com/Masters app, 11:45 a.m.
TV Broadcast — ESPN, 3 p.m.
Amen Corner — DirecTV Channel 105, 10 a.m.
Holes 15 and 16 — DirecTV Channel 106, 10:45 a.m.
Live From the Masters — Golf Channel, 8 a.m.
Masters on the Range — CBS Sports Network, 8:30 a.m.
SportsCenter: At the Masters — ESPN, 10 a.m.
Masters on the Range — CBS Sports Network, 11 a.m.
SportsCenter: At the Masters — ESPN, 11 a.m.
SportsCenter: At the Masters — ESPN, 1 p.m.
SportsCenter: At the Masters — ESPN, 2 p.m.
SportsCenter: At the Masters — ESPN, 7:30 p.m.
Live From the Masters — Golf Channel, 7:30 p.m.
1st Round Replay — ESPN, 8 p.m.
Masters 1st Round Highlights — CBS, 11:30 p.m.
United States vs. Japan — NHL Network, 5:30 a.m.
Canada vs. Germany — NHL Network, 9 a.m.
Oakland at Baltimore — MLB Network, 12:30 p.m.
Los Angeles Dodgers at St. Louis — MLB Network, 1:15 p.m.
Pittsburgh at Chicago Cubs — MLB Network, 8 p.m. or New York Mets at Atlanta — MLB Network, 7:20 p.m.
MLB Central — MLB Network, 10 a.m.
MLB Now — MLB Network, 4 p.m.
MLB Whiparound — FS1, 11 p.m. The Jump — ESPN2, 3 p.m. The Starters: The Awards Show — NBA TV, 6 p.m.
NBA Playoff Preview 2019 — NBA TV, 7 p.m.
NFL Up to the Minute — NFL Network, 1 p.m.
NFL Live — ESPN2, 1:30 p.m. 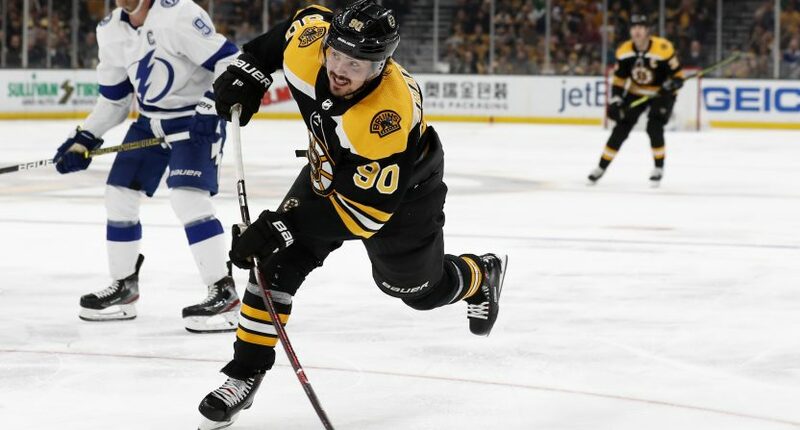 Path to the Draft — NFL Network, 6 p.m.
Toronto Maple Leafs at Boston Bruins — NBCSN, 7 p.m.
Game 1, Capital One Arena, Washington, D.C.
Carolina Hurricanes at Washington Capitals — USA Network, 7:30 p.m.
Colorado Avalanche at Calgary Flames — NBCSN, 10 p.m.
NHL Live — NBCSN, 6 p.m.
NHL Tonight: Playoff Edition — NHL Network, 6 p.m.
NHL Tonight: Playoff Edition — NHL Network, 7:30 p.m.
NHL Tonight: Playoff Edition — NHL Network, 9:30 p.m.
NHL Tonight: Playoff Edition — NHL Network, 10:30 p.m.
Univision Deportes Fútbol Club — Univision Deportes, 6:59 p.m.
Línea de Cuatro — Univision Deportes, 8 p.m.
Línea de Cuatro — Univision Deportes, 11 p.m. The Dan Patrick Show — Audience (AT&T U-Verse/DirecTV)/B/R Live, 9 a.m. Sport Today — BBC World News, 12:45 p.m.
Outside the Lines — ESPN2, 1 p.m.
Cheddar ESports — Cheddar, 5 p.m.
Fair Game With Kristine Leahy: Michael Badgley — FS1, 5:30 p.m.
SEC Now — SEC Network, 10 p.m. Round of 16 — Tennis Channel, 1 p.m.
Slavia Praha vs. Chelsea — Galavision, 2:30 p.m.
Arsenal vs. SSC Napoli — Univision Deportes, 2:30 p.m.
Fútbol Central — Galavision/Univision Deportes, 2 p.m.
Misión Europa — Univision Deportes, 5 p.m.